Okay, maybe you don't say "Y'all" as a way of getting someone's attention or introducing a topic. Maybe it's "hey" or "guys" or even "youse guys". No matter how we talk, SLPs across the country have a LOT of things in common on our Christmas lists. Really, y'all. 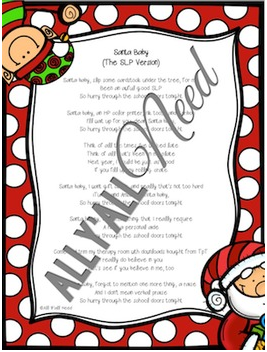 Introducing Santa Baby - The SLP Version. 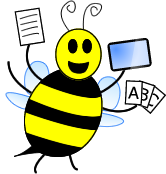 Download it for free from All Y'all Need! And Merry Christmas, Y'all! I get out for the holidays on Dec. 19. What about you?